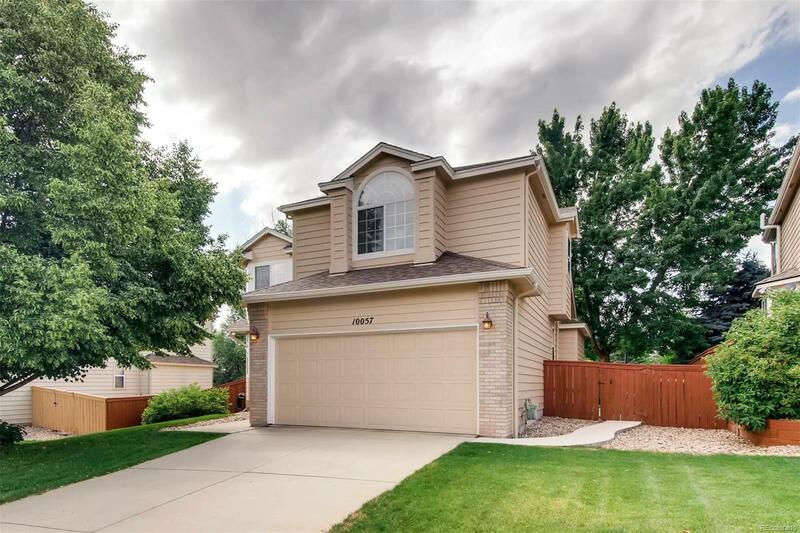 10057 Silver Maple Road Highlands Ranch, CO. | MLS# 7835542 | Whether Buying, Selling or Building Call an experienced Professional. I am at your service. Beautifully maintained 4 bedroom home close to shopping and recreation. The property has a newer hot water heater and water pressure regulator, new interior door knobs and hinges (2015). Newer (2016) roof and shed, exterior paint, stain on deck, paint on fence, AC unit, front door, storm door, garage door interior paint and gutters. New carpet, garbage disposal, light fixtures, nest thermostats and ceiling fans with remote controls for each bedroom. The property also has 2 story ceilings in the family room, and a beautiful large deck off the kitchen.